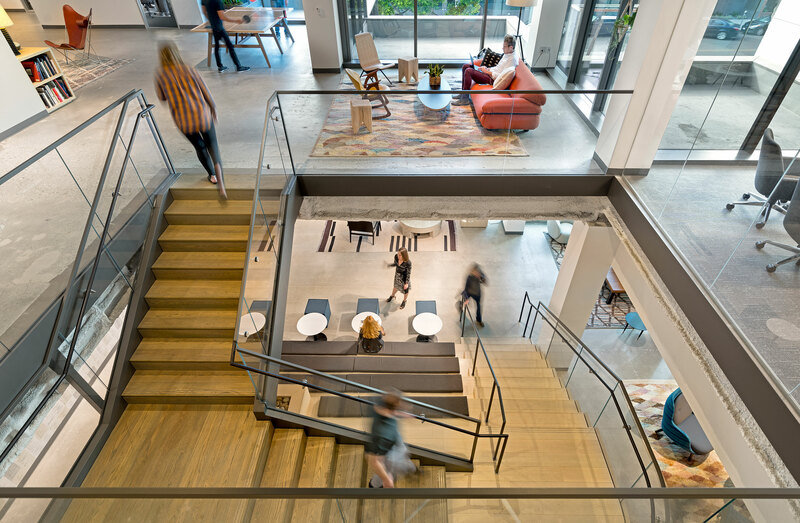 When Imagine Entertainment outgrew their Beverly Hills offices and moved into new digs a block away, they faced two challenges. 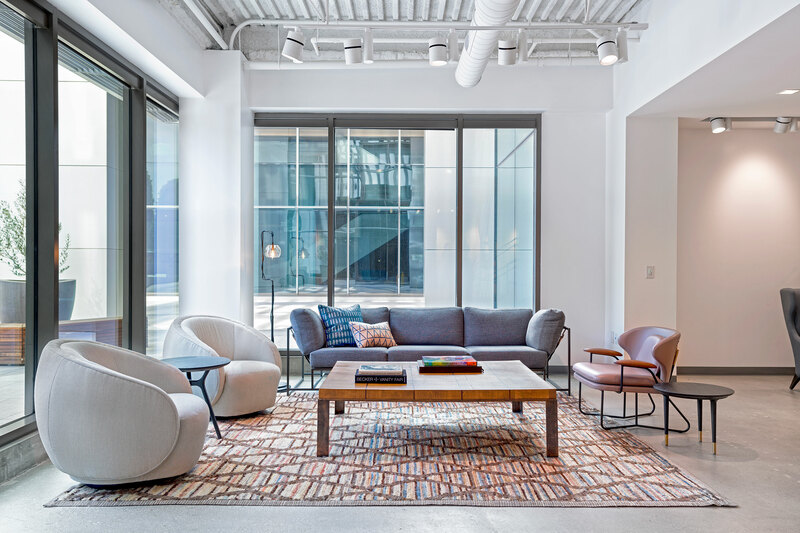 The first was how to make the new space feel modern and creative to attract new talent while retaining and burnishing the studio’s 30-year legacy. 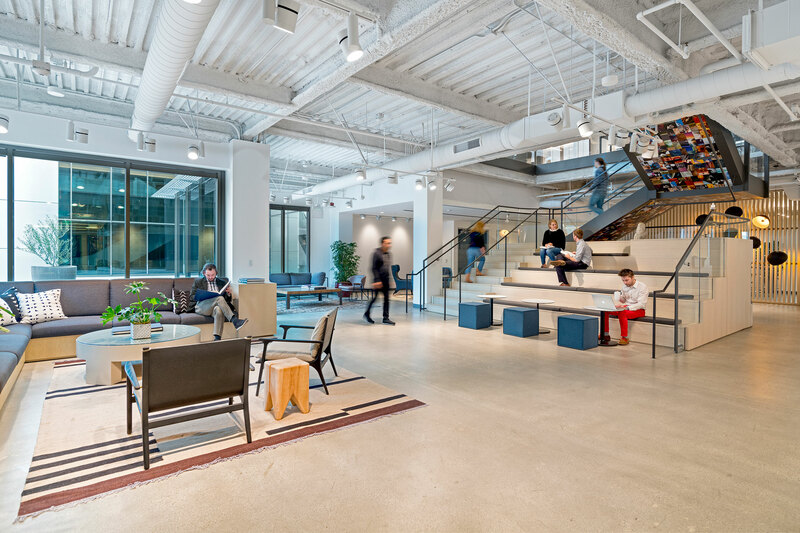 The second was how to interconnect Imagine’s television and movie departments, which had occupied separate spaces in the former location. 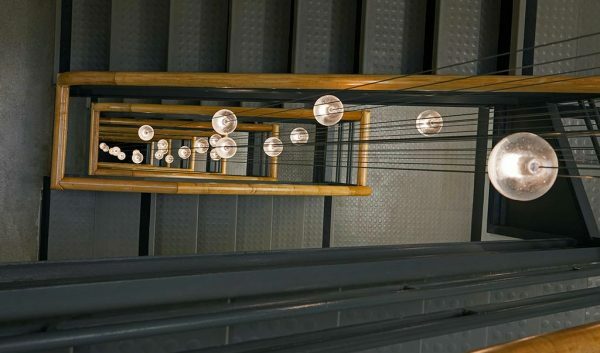 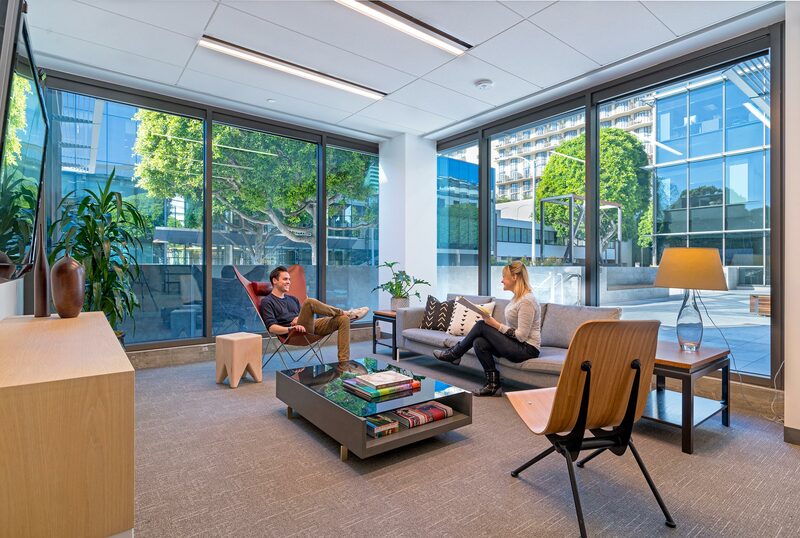 The fact that the new offices were divided among two floors of a four-story building initially seemed like an additional obstacle, but it required us to create openness throughout the 22,000 square feet space. 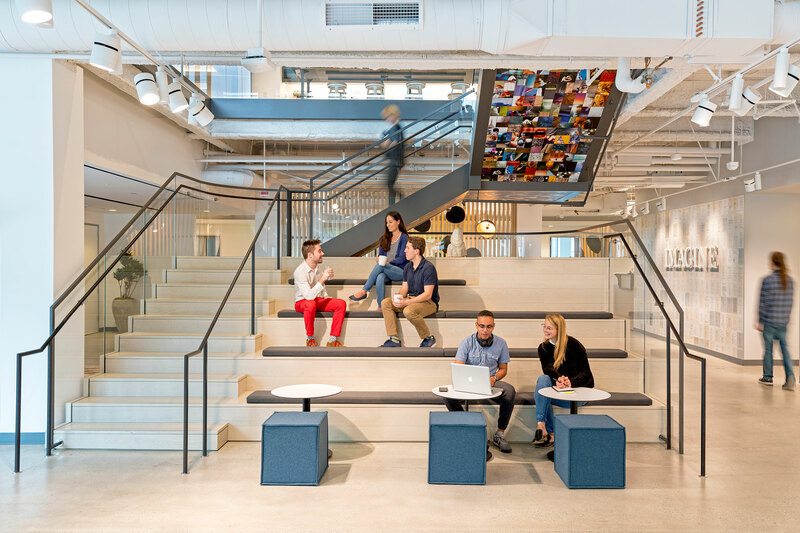 A large central staircase between the two stories, with areas for impromptu gatherings, is a focal point of the new office. 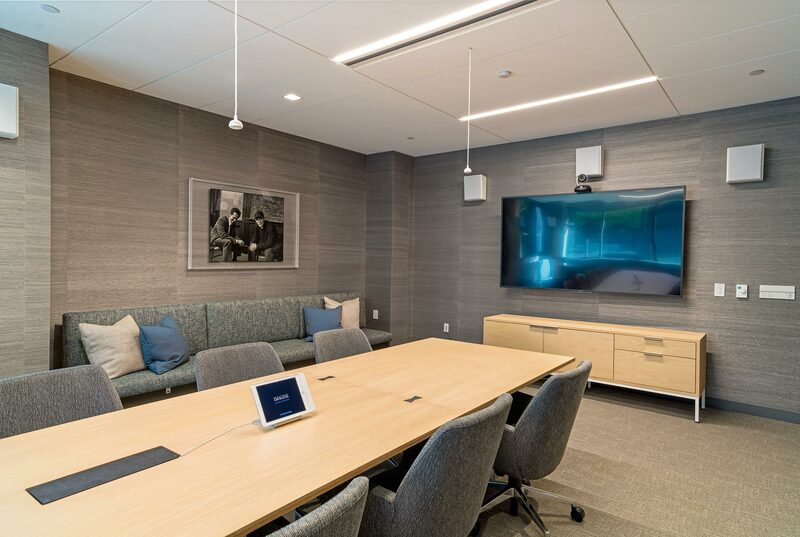 It’s just one of a variety of public spaces that includes a formal conference room, an informal living room, an area where the entire staff can congregate, and several small lounges for spontaneous collaboration. 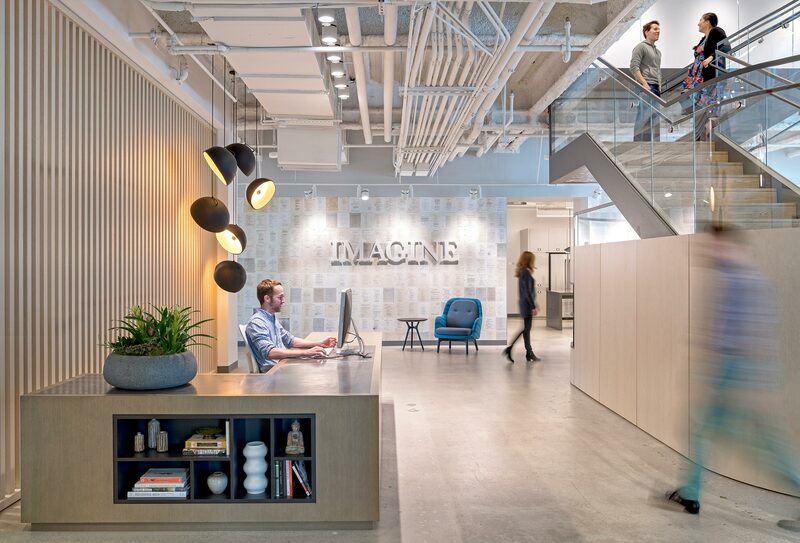 Our interiors team took the opportunity to tell the story of Imagine’s decades of storytelling success. 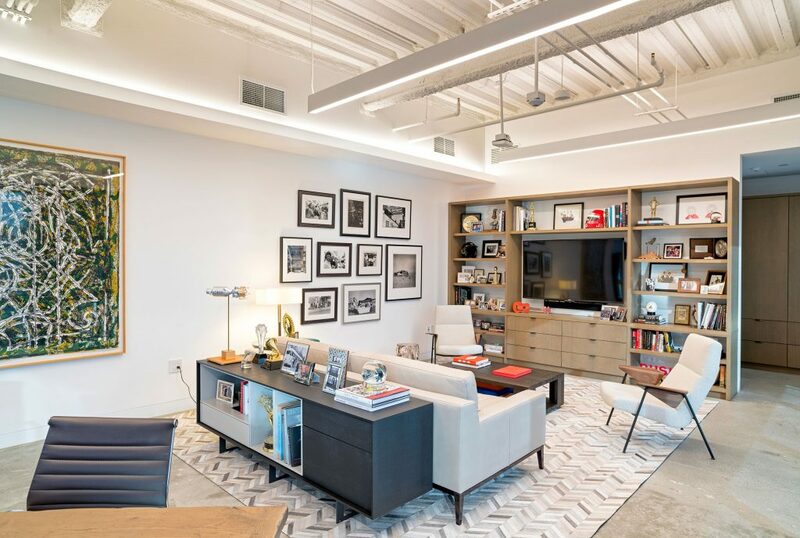 The lobby walls are papered over with pages from the original scripts to hit productions like Apollo 13 and the TV show Empire.